Did you know January is National Bath Safety Month? While your bathroom can be a relaxing oasis it’s important to remember to take the proper safety precautions. According to the Centers for Disease Control and Prevention, each year, approximately 235,000 people over the age of 15 visit the emergency room because of injuries they suffered in the bathroom. Here are some tips to help keep your bathroom the safe getaway it’s designed to be. 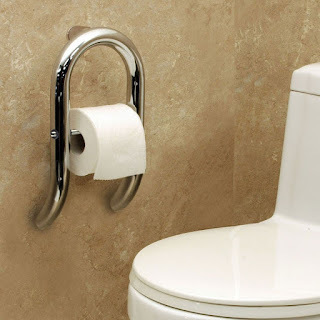 Install grab bars or rails in the tub, shower, and next to the toilet. While these useful bathroom accessories are mainly advertised toward the elderly, they’re useful for people of all ages. Slips are the primary cause of bathroom injuries. Keep a non-slip rug or mat outside of the shower or bathtub to prevent slipping when getting in and out of the tub or shower. Avoid using throw rugs, as these can be slippery. If you have trouble standing for long periods of time, invest in a shower seat that can be used in the bathtub or shower. Don’t let water accumulate on the floor. Make sure to mop up any water after you’re done bathing. Keep medicine and other harmful items in a medicine cabinet and out of reach of small children. Chemicals and cleaning materials should be kept in a closet or under the bathroom vanity sink. It’s important to keep your bathroom well lit. There are many types of bathroom lighting, such as vanity lights, shower lights, lighted mirrors, etc. At the very least, the bathroom should have a ceiling fixture to provide general illumination, as well as a nightlight. We hope you enjoy your bathroom, but most importantly, stay safe!